What's Israel's Role in the Nagorno-Karabakh Conflict? With the decades-long Azeri-Armenian conflict over the disputed Nagorno-Karabakh region burning out of control for four intense, blood-soaked days at the beginning of this month, questions have emerged over the secretive role played by Israel in the conflict. Late last week, commenting on the recent escalation of the conflict between Armenia and Azerbaijan over the disputed region of Nagorno-Karabakh, former Israeli foreign minister Avigdor Lieberman blamed Armenia for provoking four days of clashes which left over a hundred dead and dozens wounded. 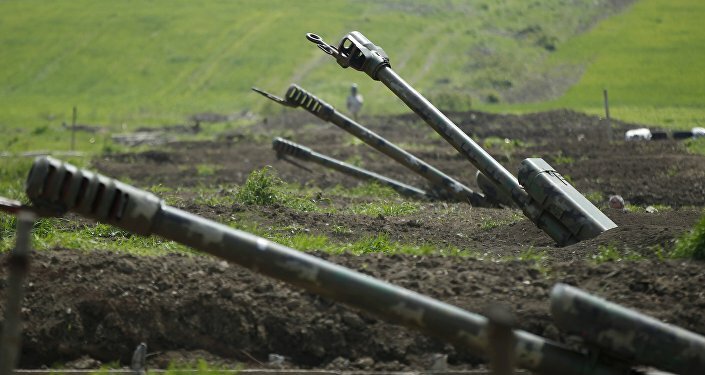 Azerbaijan, Lieberman said, had "no reasons for escalating the conflict," despite extensive reports confirming that Azerbaijan was the party that launched offensive operations to regain control of territory in the Armenia-backed Nagorno-Karabakh Republic. 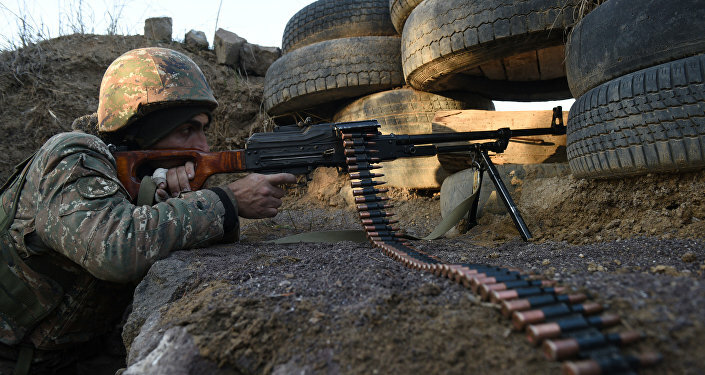 For its part, the Azeri Defense Ministry called the operation, which resulted in the taking of several strategic heights and settlements, a successful 'counteroffensive' launched in response to Armenian shelling. Lieberman's words would be echoed by retired Israel Defense Forces general Ephraim Sneh, who emphasized in a Friday op-ed for Al-Monitor that Azerbaijan is Israel's "strategic ally," and that at the moment, Baku "needs all the diplomatic help [Israel] can muster." Sneh slammed Tel Aviv for "staying silent" in Baku's hour of need, explaining that Azerbaijan is one of Israel's only friends in the Islamic world, and adding that Israel needs Azerbaijan to ensure its energy security, with Baku providing the Jewish State with some 40% of its oil. Russia's mediation of the conflict, Sneh suggested, has been disastrous for Baku, with the "status quo" that emerged in 1994 following the six-year war which began in the late 1980s "convenient for everyone, except for Azerbaijan." Blaming Armenia for violations of the ceasefire (and absolving the Azeris of their own violations), Sneh candidly admitted that Baku started the latest bloodshed, and suggested that Azerbaijan's challenging of the status quo may actually work in its favor. Saying that the current Moscow-brokered ceasefire, is "tenuous at best and not expected to last long," the general says that he is hopeful that "now that Azerbaijan has proved its military superiority, there is a chance for real diplomatic negotiations that could lead to an agreement between the two countries," i.e. for the ethnically Armenian Nagorno-Karabakh Republic to give its territory. In this sense, Sneh says, the Azeris could take a lesson from Tel Aviv and negotiate according to a formula of "land for peace," which Israel used in the late 1970s in negotiations with Egypt to return the Sinai Peninsula. This time, Sneh argues, the Azeris should do the same, but in reverse, promising Armenia peace in exchange for Nagorno-Karabakh. "Armenia's weak economy could stand to benefit from such an agreement." Moreover, "improved economic relations with Turkey are just one important economic benefit that Armenia can be assured of as soon as it withdraws from the occupied Azeri territories." 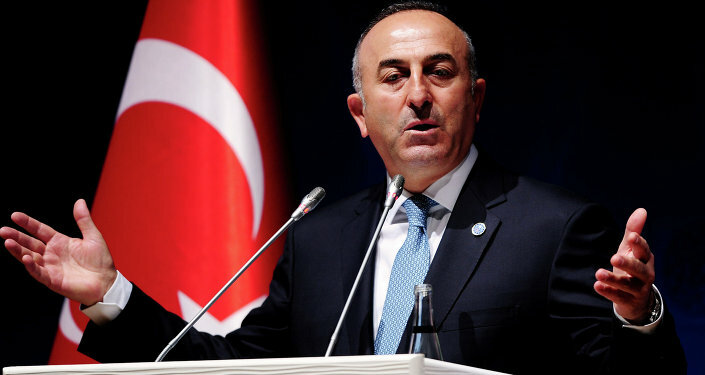 "Meanwhile, Azerbaijan needs much more robust diplomatic support than it is receiving today." Unfortunately, Sneh complains, Baku hasn't been getting it from Israel. But just how silent has Tel Aviv actually been? To begin with, hints of the extensive military cooperation between the two countries emerged in the first days of the conflict, indicating that Israeli 'suicide drones' were being used by Azeri forces in the course of their offensive. 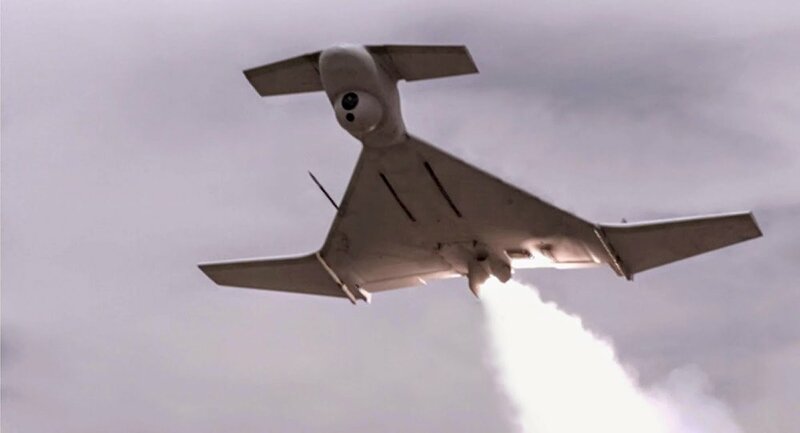 The Harop unmanned aerial vehicle, which acts as a 'kamikaze' capable of destroying targets by ramming into them, is produced by Israeli Aerospace Industries (IAI). — Serge (@Zinvor) 8 апреля 2016 г. ​According to French intelligence newsletter Intelligence Online, in addition to drones, Israel also provides Baku with advanced radar systems, control and command posts, and other intelligence-collection equipment, and has even entered a bid to provide Baku with a $150 million observation satellite. Israel has refused to confirm or deny its sale of drones, or other weaponry, to Azerbaijan. However, Meretz party chairwoman Zehava Galon came out publically warning that Israel intends to send more drones to Baku. 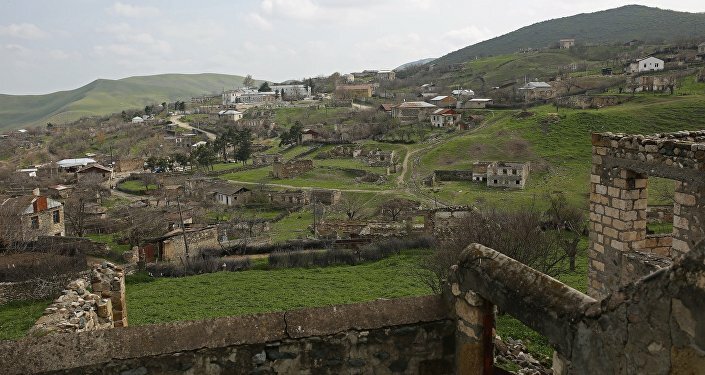 In a letter addressed to Defense Minister Moshe Ya'alon, Galon urged that the Israeli government should stop weapons deliveries to the Azeris until it could be assured that Baku would halt the fighting in Nagorno-Karabakh. At the same time, Israeli security and intelligence specialist Yossi Melman says that Israel has a massive, but highly secretive, defense footprint in Azerbaijan. In his analysis for The Jerusalem Post, Melman explained that Israel and Azerbaijan enjoy annual trade which is "$5 billion larger than between Israel and France." 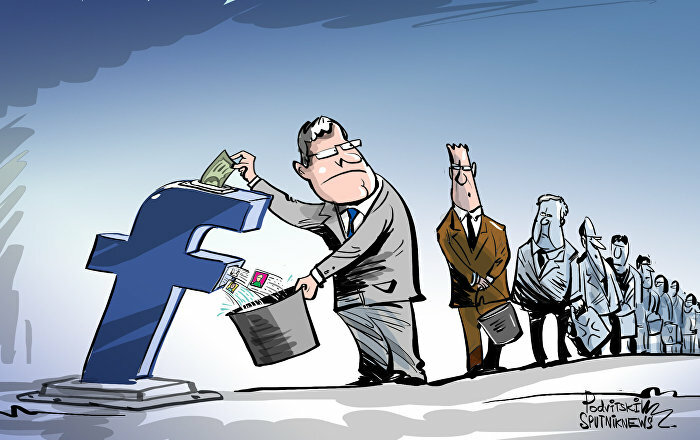 Moreover, he said, "most of the content remains confidential, and consists of Azeri oil sold to Israel and Israeli weapons and intelligence technologies purchased by Azerbaijan." From modest beginnings in the early 1990s, Azerbaijan has grown to become "the second-biggest market in Asia, after India, for Israeli weapons," with Israeli defense companies enjoying literally billions of dollars in sales in the Caucasian state. At the same time, Melman indicates, "the best promoters of the military sales and ties are Israeli ministers and officials who visit the Caucasian nation." "This week," the analyst recalls, "The Washington Post enabled the world to have a peeping window into the secret relations [between the two countries] when it published a photo of an Israeli-made 'suicidal drone' exploding itself on a bus leading Armenian combatants to the front lines. Seven people were killed, and the Armenian government protested to Israel." "A few days after the incident, military journalists visited Israeli Aerospace Industries facilities and were briefed on the various products, from drones to satellites, which the company has to offer. An IAI spokeswoman was asked if the company was behind the Washington Post revelation. She refused to answer but openly smiled when one reporter commented that such a photo is good for business and promotes sales of products that can be labeled 'battle proven'." In addition to military ties, Melman notes that the two countries also have strong intelligence ties, with Mossad given permission to set up a large station in Azerbaijan, taking advantage of the region's geography to run operations throughout the North Caucasus. Both Russian and Iranian officials have previously accused Azerbaijan of allowing Mossad to use their territory for espionage activities, the latter indicating that the Israeli missions included everything from "recruiting and planting agents," to "communication interception and aerial reconnaissance," Melman explained. Moreover, he added, "more than a year ago Iran claimed to have shot down an Israeli-made drone," claims which Israeli officials have refused to comment on. Pointing to the secretive nature of political, defense and intelligence cooperation between the two countries, the analyst noted that "it was [Azeri President Ilham] Alieyev himself who was quoted in a WikiLeaks cable sent from the US Embassy in Baku [saying] that 'bilateral relations between Azerbaijan and Israel are like an iceberg. Nine-tenths are below the surface.'" Ultimately, Melmen notes, "seemingly, Israel and Azerbaijan are an odd couple, not meant to be with each other," with the Caucasian nation not really serving as a model of Western democracy, being run by the same family since 1991, and facing issues including corruption and the suppression of free media. "On the other hand, Israel is not too selective in choosing friends when it comes to weapons sales and national interests. A quick look at the map," showing that Azerbaijan borders Iran, Israel's sworn enemy, "can explain Israeli priorities."